Have you heard of 4Health? If you have, you may have been wondering whether it’s something your puppy or dog would thrive on. You might also have been a little confused if you heard 4Health mentioned along with the Tractor Supply Company…because, huh?In this article, we’ll explain it all for you. We’ve covered all the ins and outs of who makes 4Health dog food, what’s in it, and what you can expect for your dog. So, let’s get reviewing! 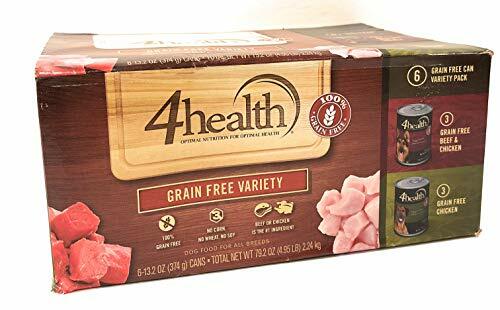 Who Makes 4Health Dog Food? 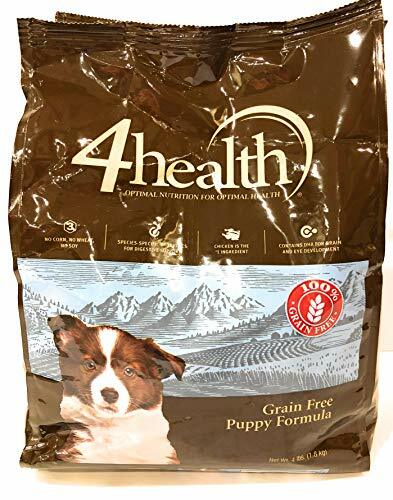 Why the 4Health Puppy Food Reviews and 4Health Dog Food Reviews? 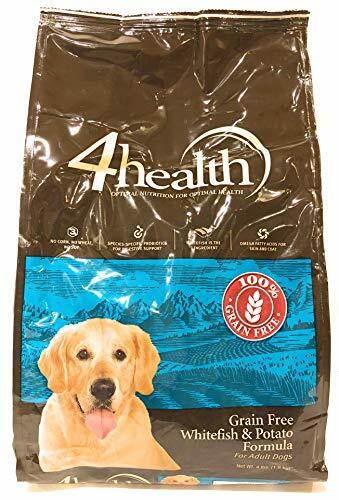 How do I know which 4Health dog food is grain free? How can I make my puppy’s fur shine? The Schell and Kampeter-owned Diamond Pet Foods are behind 4Health. The Missouri-based company operates manufacturing facilities in the States only and is also known for Kirkland, Diamond, and other dog foods. The ‘4Health’ brand itself belongs to Tractor Supply Company, and includes not only premium ingredient dinner recipes for dogs and cats, but treats, too! The privately-owned label actually produces a pretty extensive selection of different lines and formulas, which we’ll look at a little more closely in this article. First up, 4Health is healthy. Because the Original line of foods alone contains 9 different kibbles at the time of writing, we weren’t able to review every single one. But the brand claims of ‘no fillers or additives’ appears to hold up. None that we reviewed — and none of the many more that we browsed — had any ‘fillers’ or unnecessary additives in their ingredients lists. Instead, for recipe after recipe, we found plenty of wholesome ingredients like authentic meat and veggies, ‘tummy-friendly’ grains like oatmeal, and plenty of good doggy things like DHA and Omega acids. 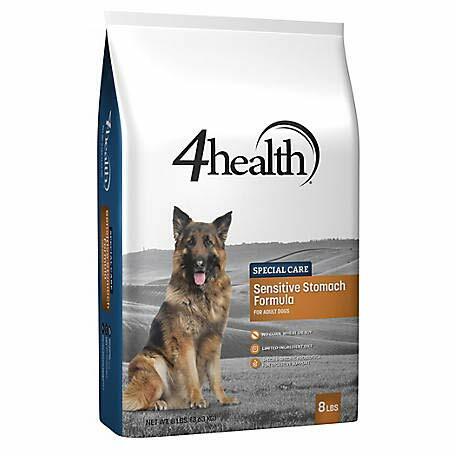 While the last one — 4Health Puppy Food — isn’t technically a separate brand, we thought it was worth mentioning. That’s just because, as puppy owners, it’s usually one of the first things our eyes are trained to spot! When looking into dog food recalls, it’s often a good idea to take a ‘bigger picture’ approach and consider what has been recalled from the manufacturer rather than just the brand. Because 4Health is made at Diamond pet food plants, the latest relevant recall took place in 2012. This was a pretty large, but voluntary, recall of all Diamond’s foods with specific use-by dates. These were due to potential contamination of the foods with Salmonella. No 4Health food, however, was found to be tainted. There really is something for every dog, with many senior, puppy, and special diet options. Whitefish is a temptingly delicious lean protein that will keep your dog’s muscles in tip-top shape. It’s the very top ingredient, and this recipe also includes joint- and skin-healthy fish oil. Features dog-specific probiotics that enable smooth digestion. Unfortunately, there aren’t any fiber-rich fruits or vegetables to be found here. If you’ve got a breed with a beautiful coat, like a Golden Retriever, Husky, or Lab, there’s plenty in here to help him keep it that way. And no matter what breed you’ve got, they’ll probably love the taste of delicious whitefish! This beefy meaty formula is crafted for our cute little pooches and includes L-carnitine that promotes a lean, healthy build. Perfectly delicious for Shih Tzu, Chihuahuas, Corgis, and Yorkies! At 350k/Cal a cup, it’s made for regular feeds! Doesn’t include any colorful or leafy vegetables. It’s almost always a good thing to see varied proteins in dog food, and this small breed formula is created to satisfy our little ones’ tastebuds! Ideal for breakfast, lunch, and dinner! Lamb’s the main flavor (and #1 ingredient) in this food, which has added salmon oil for DHA and Omega acids. Includes fish meal and pea protein to vary things up a bit! No, we like it! This blend also includes lovely blueberries and apples, as well as vitamin-rich tomatoes and spinach! With 27% protein and 1.2% well-balanced calcium for our growing pets, this food offers a well-rounded nutrient profile. You’ll even find zinc and Omega acids to keep puppy’s coat healthy, and L-Carnitine for energy. Great! This yummy-sounding chicken formula doesn’t feature any grains, and the ingredients list is full of wholesome inclusions. Chicken’s in the top spot, followed by chickpeas, peas, eggs, and sweet potato. Includes skin-healthy selenium and zinc. 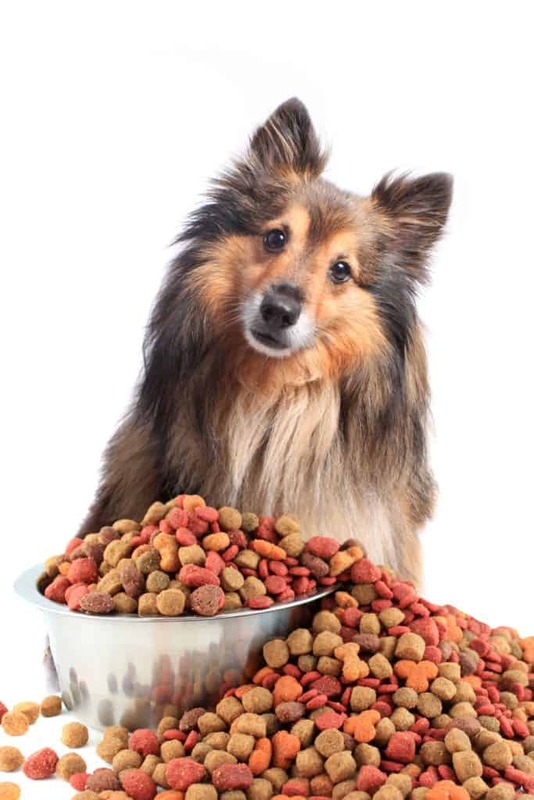 We use several ‘must-have’ criteria to judge whether a dog food is good. Then, we have got more ‘picky’ checkboxes that must be ticked for a formula to be considered ‘pretty darn good’. This chicken-flavored puppy blend meets all of those — five stars! 4Health does offer several types of canned food, however, you’ll need to physically slog to the store for most of them. Here, we’ve reviewed two flavors that you can get in one pack without having to leave the house! Grown-up dogs can tuck into a choice of either chicken or beef and chicken cans with 4Health. These are totally gluten-free and provide between 529 and 534 k/Cal per can depending on what flavor you choose. Offers moisture for dogs who don’t frequently drink water. 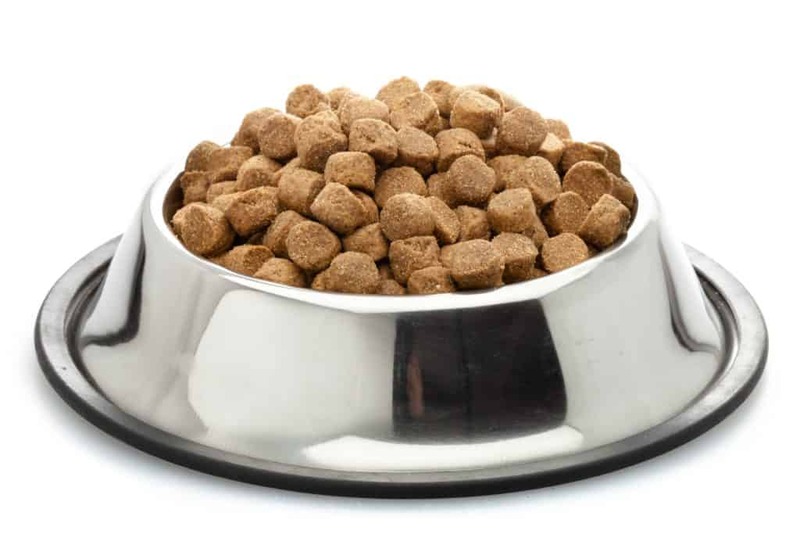 Nutritionally, this meets our high standards for grown dog food, but it lacks real vegetables. In one pack, your adult dog can enjoy two different flavors — we like that! It offers a decent amount of protein and high-quality animal ingredients, like vitamin-and mineral-rich liver. We’re giving it 4.5 stars. This sensitive stomach recipe gets its protein primarily from egg. It includes probiotics that help your grown-up dog digest his dinner more easily, and it features all-natural ingredients which are less likely to set off his sensitivities. The top ingredient for this particular blend is potatoes. That’s neither protein-rich nor suitable for intolerant dogs. Sometimes, the only thing that really matters is whether your dog can get the right nutrition without being sick. That doesn’t mean your pooch needs to miss out on healthy additions that won’t set off his stomach, though! 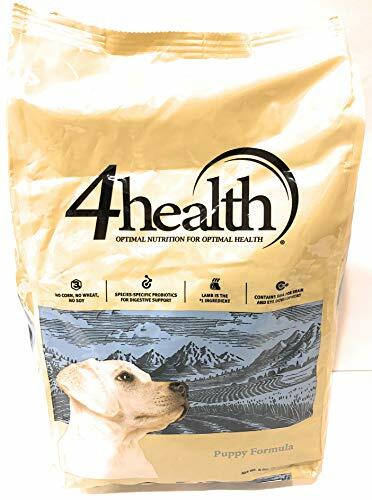 Our 4Health dog food rating for this food is pretty good, as it includes menhaden oil, Vitamin E, zinc, and antioxidants. 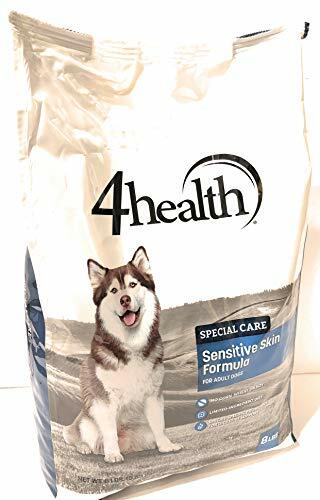 Like the other nice formulas in this 4Health Special Care line, this is gluten-free and designed to meet those specific health needs of dogs with sensitive skin. Plus, it uses hydrolyzed salmon as a key protein source! Together, these work wonders for dogs who’ve got sensitive skin! Gives your dog 25% protein in each meal. Well, there are no fiber-rich fruits or vegetables, but that’s what Limited Ingredient Diets are all about — so no cons here! There’s nothing fun about watching our best friends itching or suffering from sensitive skin. With all the awesome goodness of fish oil, Vitamin E, selenium, and zinc, this may be a good solution to make your fluffy pal feel better. 4Health has four official ranges of kibble — Original, Grain-Free, Untamed, and Special Care. Obviously, the Grain-Free products are totally gluten-free and contain zero grains. That means no rice or oatmeal, either. 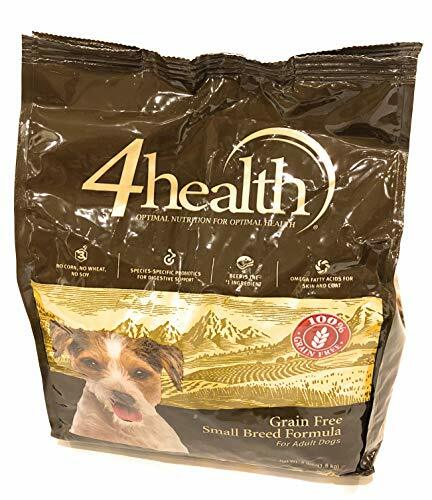 However, there are also grain-free kibbles within the Special Care and Untamed lines of 4Health dog food, like the Sensitive Stomach option in our 4Health reviews above. What we can’t ever assure anyone is that a dog food will be free from cross-contamination. As 4Health, like so many other brands, is manufactured at a larger plant that produces other dog foods, it’s important to keep in mind that the facilities may sometimes be used to handle grain ingredients. Great question! It’s always fun when your puppy is happy and healthy — but if he’s super-handsome, too, that’s a nice bonus! For lovely fur, a good well-rounded diet should be the first step. As you’ll see in our 4health puppy food reviews, Omega acids are commonly included in kibble to help that natural luster shine through. They include DHA, EPA, and the slightly less ‘famous’ GLA. At the same time, you can also help your puppy’s fur shine by brushing his coat to get rid of dust and nip any tangles in the bud. Usually, you can also shampoo your pup a healthy amount with special pet shampoo. Make sure you rinse your fluffy friend properly, however, as leaving some shampoo or conditioner in his fur will take away from the shine. And here’s a funny one — you can also give him a little ‘buff’ when you dry him off. Hope that helps!